We've discussed (too many) times the corrupting effect that climate 'science' has had on ethics in atmospheric science in particular and the wider scientific community in general. There is no greater example of this than what is going in in Australia. Anthony Watts has, thankfully, taken up the cause of climate scientist Peter Ridd (above) in his self-defense against the scientific totalitarians at James Cook University. The entire story is here. I wish to highlight some of it in hopes that you will go to the purple link and read the story in its entirety. 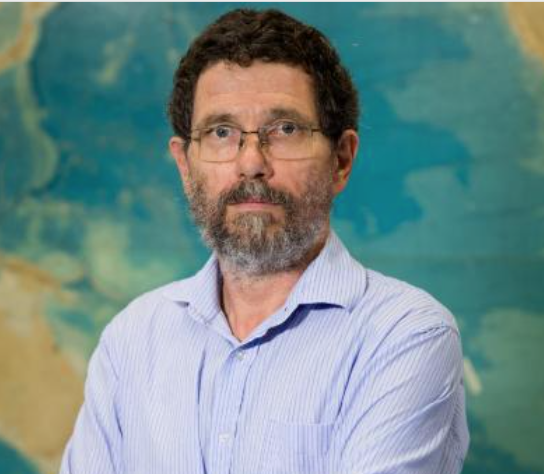 The issue is that Dr. Ridd's research indicates the Great Barrier Reef, rather than being damaged by global warming, is actually healthy and, in some places, growing. This is scientific treason: there is no research money and no self-righteousness to be harvested from a healthy Reef. The items in italics are direct quotes from Ridd's defense and relayed by Anthony. Around the world, people have heard about the impending extinction of the Great Barrier Reef: some 133,000 square miles of magnificent coral stretching for 1,400 miles off the northeast coast of Australia. The reef is supposedly almost dead from the combined effects of a warming climate, nutrient pollution from Australian farms, and smothering sediment from offshore dredging. Except that, as I have said publicly as a research scientist who has studied the reef for the past 30 years, all this most likely isn’t true. And just for saying that – and calling into question the kind of published science that has led to the gloomy predictions – I have been served with a gag order by my university. I am now having to sue for my right to have an ordinary scientific opinion. My emails have been searched. I was not allowed even to speak to my wife about the issue. I have been harangued by lawyers. And now I’m fighting back to assert my right to academic freedom and bring attention to the crisis of scientific truth. The only problem is that it [global warming damage to the Reef] isn’t so. The Great Barrier Reef is in fact in excellent condition. It certainly goes through periods of destruction where huge areas of coral are killed from hurricanes, starfish plagues and coral bleaching. However, it largely regrows within a decade to its former glory. Some parts of the southern reef, for example, have seen a tripling of coral in six years after they were devastated by a particularly severe cyclone. Reefs have similarities to Australian forests, which require periodic bushfires. It looks terrible after the bushfire, but the forests always regrow. The ecosystem has evolved with these cycles of death and regrowth. I have asked the question: Is this good enough quality control to make environmental decisions worth billions of dollars that are now adversely affecting every major industry in northeast Australia? The response to these comments [about the scientific integrity of papers about the Reef] my employer, James Cook University, was extraordinary. University authorities told me in August I was not allowed to mention the case or the charges to anybody – not even my wife. Then things got worse. With assistance from the Institute of Public Affairs, I have been pushing back against the charges and the gag order – leading the university to search my official emails for examples of where I had mentioned the case to other scientists, old friends, past students and my wife. Ultimately, I am fighting for academic and scientific freedom, and the responsibility of universities to nurture the debate of difficult subjects without threat or intimidation. We may indeed have a Great Barrier Reef crisis, but the science is so flawed that it is impossible to tell its actual dimensions. What we do know for certain is that we have an academic freedom crisis that threatens the true life of science and threatens to smother our failing university system. Tragically, too much of climate science is rotten. I salute Peter for risking so much to stand up for the principles of academic freedom and scientific integrity.